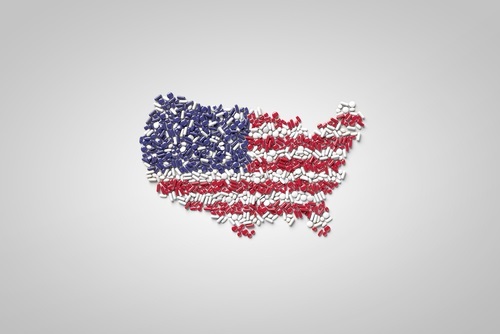 A consortium of pharmaceutical supply chain partners in the US has come up with a proposed system of governance for data generated in a traceability scheme due to come into effect in 2023. The Drug Supply Chain Security Act (DSCSA) of 2013 aims to build an electronic system that will identify and trace certain prescription drugs as they are distributed within the US, and will require standards that allow data to be shared between supply chain partners. Now, the Pharmaceutical Distribution Security Alliance (PDSA) – a group which includes manufacturers, distributors, dispensers and third-party logistics (3PL) companies – has kicked off the development of its own suggested governance framework that it hopes could serve as a model for discussions going forward. Since November 2017 (albeit with a one-year enforcement holiday), manufacturers of medicines in the US have had to ensure that all their medicines packs carry serialized unique product identifiers. The same commitment applied for repackagers from November 2018, with the deadline for wholesale distributors accepting only serialized packs due in November 2019 and for dispensers a year later. From November 27, 2023, full unit level traceability including aggregation will be mandatory, and that will require all the actors in the medicines supply chain to be linked by an interoperable data governance system that means the unique codes can be read, and transaction data exchanged and recorded, so pharmaceuticals can be verified and traced. The PDSA’s proposal comes in the form of two documents, with the headline news that the group would like to create a non-profit organization that would take responsibility for setting up and running the governance system. The “independent, balanced, sector-neutral governance body” would be loosely analogous to the non-profit European Medicines Verification Organization (EMVO) that implemented the drug verification elements of the EU Falsified Medicines Directive (FMD). An overview document lay out PDSA’s vision for governance and the neutral body, although it stresses the Alliance itself has no ambition to at in that capacity. PDSA is holding a webinar tomorrow for those interested in hearing more about the proposals, and will also hold a workshop in Washington DC on May 1 to allow face-to-face debate on its plans. Future white papers will cover The Interoperable Exchange of Transaction Information and Transaction Statements and The Interoperable Verification and Tracing of Pharmaceuticals, says the PDSA and are scheduled to be published following months. “Successful implementation of interoperability will require engagement across the entire pharmaceutical supply chain, said says Marc Watrous, senior vice president, managed care and customer operations, at Roche subsidiary Genentech.